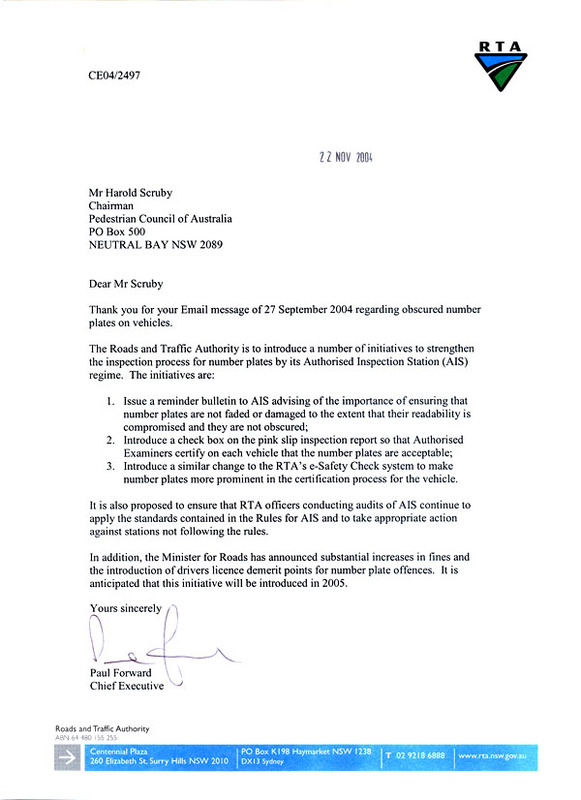 Following the conviction of a motor-cyclist who would race through the Harbour Tunnel at speeds of up to 212 kmh, the Chairman of the PCA, Mr Harold Scruby today called on all state and territory governments to get serious about defaced and obstructed number-plates. Mr Scruby said: “This is one of the greatest rorts on our roads and many motorists, particularly motor-cyclists are taking advantage of a loop-hole in the law and pathetic penalties which allow many motorists to escape detection when speeding and/or running red lights. “The maximum penalty for defacing or obstructing a number-plate in NSW is $76. It is less in most states. Victoria is the only state where Demerit Points apply to this offence. Motorists can escape penalties exceeding $2,000 and 6 months automatic loss of licence simply by defacing or obstructing their number-plates. “Furthermore, it’s an offence which is rarely if ever enforced by the police. To prove this point, the attached photos of Subaru Foresters reveal that their number-plates are perfectly obstructed if the tow-bar ball is left on the bar. While this is illegal in itself (but never enforced), we are of the view that over 40% of this make and model have obstructed number-plates. Most have been obstructed for years, many are rusted on and few if any have been removed when inspected annually by RTA inspectors. Many other motorists either place bike racks over their plates, masking tape, special sprays, paint or mud. Mr Scruby said. “It’s a rort and it’s out of control. 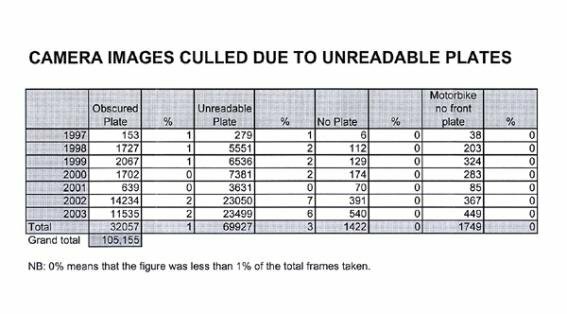 The attached FoI recently obtained by the PCA reveals that nearly 70,000 plates were unreadable by speed-cameras alone last year. This does not include red-light cameras. This was a loss of over $14 million dollars to the NSW Government last year and the figures are increasing dramatically. “But what’s far worse is the ridiculous exemption allowing motor-cyclists to have no front number-plate. 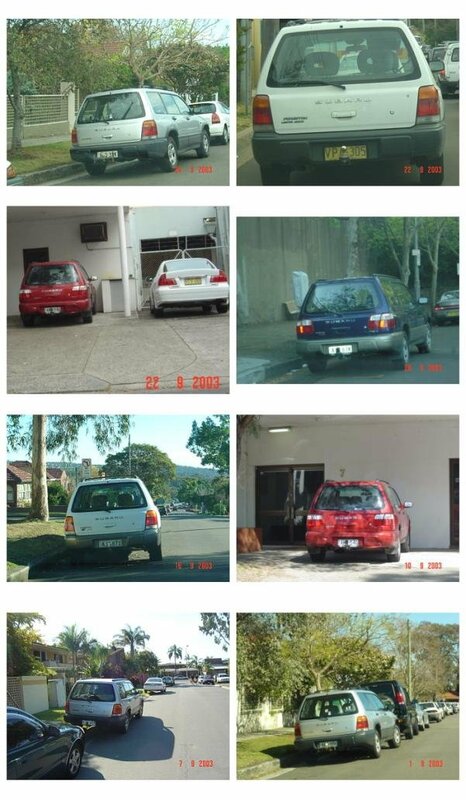 Over 1,700 offences since 1997 have escaped speed-camera detection because of this rort. The motor-cycle lobby argues it is a safety issue. That’s utter nonsense. Many countries in the world require front-number plates on motor-cycles as they can easily be made of light-weight plastics. Mr Scruby added: “Like the penalty for refusing a breath-test, the penalty for this offence should equal the maximum penalty avoided. It’s cheating and should be treated as such. 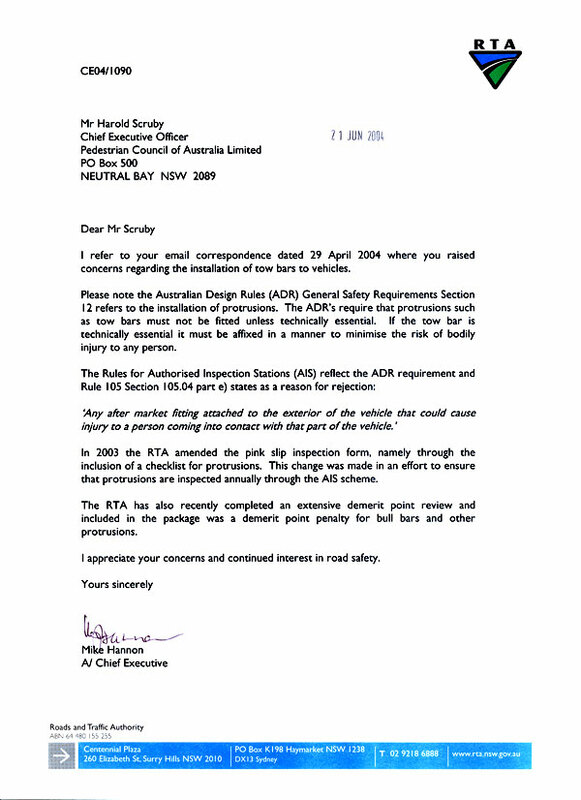 Therefore, the penalty should be 6 months loss of licence and a $2,000 fine in all states and territories throughout Australia. Unfortunately, under the revised package announced by NSW Roads Minister Carl Scully recently, the recommendation for this offence is only 3 Demerit Points and a $300 fine – a veritable thrashing with a feather. The result will be that many motorists will continue to obstruct or deface their plates, because the risks of being pulled over and booked by the police are so low, yet the chances of being booked by speed and red-light cameras are so high. In the hours just before dawn, Paul Myers would taunt the speed cameras. The 31-year-old would race through the Harbour Tunnel on his motorbike at speeds of up to 212kmh, his number plate obscured and e-toll unpaid, according to police evidence. His driving came to the attention of police on February 12, when the RTA Camera Unit contacted them with footage from the tunnel. Myers was clocked four times at up to 212 kmh, between 4.30am and 6am from January 23 to February 6. With the registration label obscuring his number plate, police only had the number 29 to identify the bike. According to the police brief, it was only when an off-duty police officer saw a motorcycle - registration plate WHM-29 - being driven erratically that police were able to narrow their search for the rider. Operation Knievel - named after motorcycle daredevil Evel Knievel - was formed to catch the rider. On February 16, police gathered at various locations in the Harbour Tunnel and on the Warringah Freeway just before dawn. At 5.01am they saw a motorcyclist approaching at 92kmh in a 80kmh zone. With a police car blocking the road, an officer held up a sign signalling the rider to stop. The motorcyclist slowed to 20kmh before ducking below the sign and speeding away. A chase ensued along the Gore Hill Freeway, at speeds of up to 220kmh, before it was called it off. Armed with the driver's full number plate, police were able to track him to his workplace at a security firm and make an arrest. At yesterday's hearing at the Hornsby Local Court, Myers pleaded guilty to all charges, including obscuring his number plate, recklessly speeding in a manner dangerous and not obeying the direction of police to stop. He will be sentenced in six weeks after pre-sentence and psychological reports are obtained. Magistrate Maxwell Taylor said before ordering the reports:"Clearly something needs to be investigated. This is extraordinary behaviour." Myers would not comment yesterday.